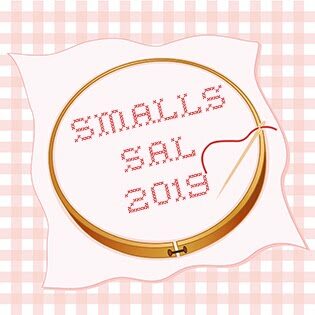 The aim of this SAL is to encourage cross stitchers to fully-finish (at least some of) their projects, whether they have been recently completed or long-since neglected. But I would also like this to be a fun SAL so have tried to keep the rules/guidance minimal. No need to sign up and no monthly commitment required - just pop in when you have one or more FFOs to show. 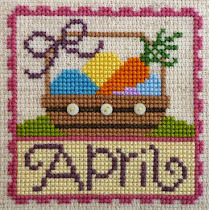 Of course, it would be lovely to see you every month but, depending on the size of projects you stitch and/or how many you have waiting to be fully-finished, this may not be possible! An FFO can be anything as long as it is has been cross stitched, or similar (eg hardanger, speciality stitch samplers). Sorry, but this is not the place for showing crochet, knitting, sewing or other crafts. 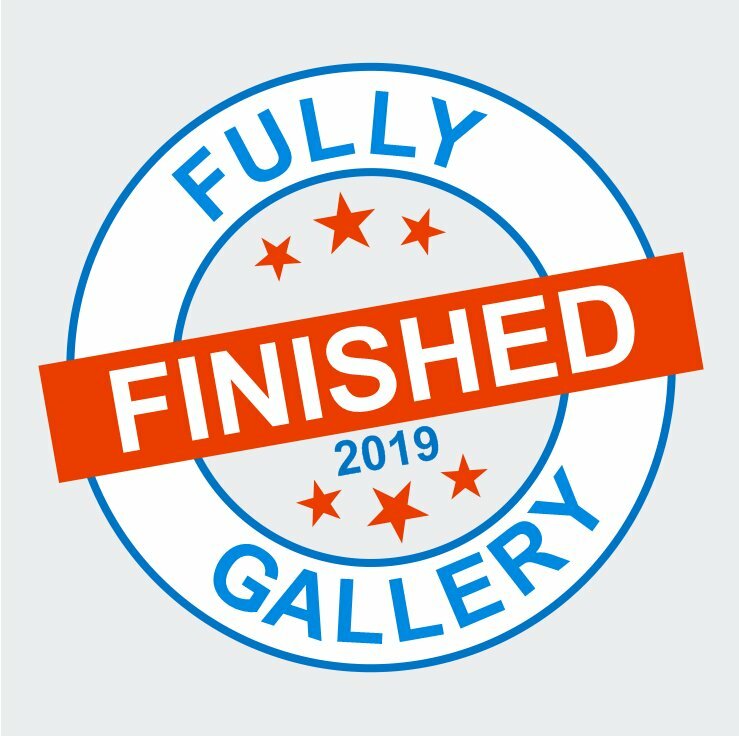 The FFO must have been finished recently - for the first check-in this can be objects completed since 1st January 2019, thereafter please only show items fully-finished since your last check-in; do not delve back into your archive for them! Show as many fully-finished objects as you like in one check-in - if you have had multiple finishes since your previous link-up, show them all if you wish! Alternatively, if you have a finishing binge of say 10 projects but wish to show them one at a time over the next 10 months that's fine too as long as they have been completed in 2019. You may check in more than once each month - if you finish another project after you have checked in but can't wait until next month's check-in to show it, then please feel free to check in again (although you'll only get one entry for the month into the year end prize draw). Each month you check-in, your name will be put into a year end prize draw (value of and prize yet to be decided). The monthly check-in will go live on 10th of each month at 6am UK time and will remain open for 10 days. I will always try to schedule the post in advance to ensure continuity but please bear with me if there are initial teething problems. - use the link of the URL of your FFG SAL posting and not the home page of your blog. - use a picture of (one of) your finished piece(s) as your thumbnail. - use either your name or the name of your blog for the caption. And don't forget to pop along to other participants and see what they've been up to. We all know how much is involved in fully-finishing a project; give them some encouragement too! Links to all the check-in posts will be added to this page so you can easily go back to view previous months. If you think I've missed anything please let me know, or if you have any questions or suggestions please ask... I don't bite, honest! This is my first foray in administering a SAL so I am bound to have missed something or made a mistake somewhere! 1) I am not responsible if you are enabled by any projects which appear in this gallery! 2) I am not responsible for other items which you 'happen to purchase' as a result of shopping for items to fully-finish your projects! - an additional prize for the most number of FFOs submitted by one person during the year? - an additional prize for something like the the 'most unusual' finish? - an optional challenge to try to finish your next piece in a certain style or to incorporate a certain 'thing' into it? (I don't want to add to the pressure but it could add to the fun if you are up for a challenge). I hopped over from Fairy Tales and French Knots and am quite inspired. I do not have a blog but use a Flickr account to link up with. Last year, I left all my Christmas ornament gifts to the very last minute and was very unhappy with the results. I also have Brooke's Books Advent Animals that have been languishing in my box that I would love to finish off this year. I'm so glad I found you!!! Glad to be of assistance, Suazanne! Hopefully you'll be able to work on some finishing during the year and not be so stressed next Christmas. See you there! Super idea, and I love the new logo! An optional style challenge might be fun. I've always admired bisornu but never made one, for instance. Maybe if someone posts every month during the SAL they get an extra contest entry or something? Hi Rachel, I love the new logo and I’m always up for a new challenge of finishing in a certain style or most unusual way. I hope to be able to finish as many projects as possible throughout 2019. Happy Stitching! !